Welcome home! This beautiful, updated home is ready for you to call it home. Enjoy an old Santa Fe, adobe feel of viga ceilings and wood floors; plus, the modern comfort of a remodeled kitchen with stainless steel appliances and a butcher-block island. The comfortable living room is warmed by a wood burning stove and has a large, picture window to the outside gardens. 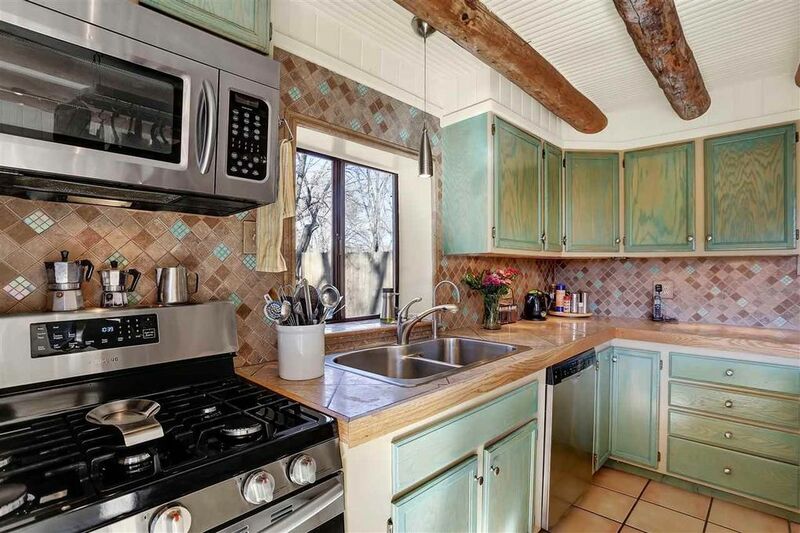 The bedrooms and remodeled bathroom are inviting and modern yet maintain the character of traditional Santa Fe style. The private courtyard provides ample space for entertaining or a quiet cup of coffee. Hot water heater and furnace new in 2015. The home has a private well and well-maintained septic system. Plus, the property is conveniently located in the Pojoaque Valley with an easy drive to Los Alamos, Espanola or Santa Fe. Call today for a showing. You don't want to miss this one.